Who runs the Katyra Canine Centre? 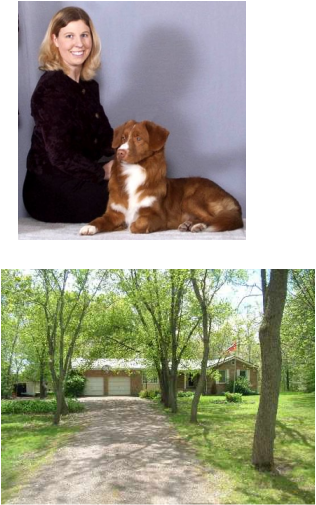 The Katyra Canine Centre is owned and operated by Kathy Adorjan. Kathy has been working with dogs professionally since 1999, teaching pet and competition classes, in-home behaviour consultations and competing in obedience and show with both her own dogs and others. Kathy breeds Nova Scotia Duck Tolling Retrievers under the kennel name "Katyra". Katyra (pronounced Kuh-Tie-ruh) is a combination of Kathy's name and the name of her first Duck Tolling Retriever, Tyra.